Railroad and immigration agent, municipal politician. Born in Grand Village, Nova Scotia on 4 December 1858, son of John M. and Catherine Campbell, he was educated at local high schools then worked on construction of the Intercolonial Railway. He then took up blacksmithing for several years, before coming west in 1879 to work on the B section of the Canadian Pacific Railway near Rat Portage [now Kenora, Ontario]. He was the first CPR agent at Winnipeg in 1881 then, in 1890, was appointed its General Immigration Agent. He managed the Winnipeg Electric Street Railway from 1892. He also served as Dominion immigration agent from 1880 to 1892. 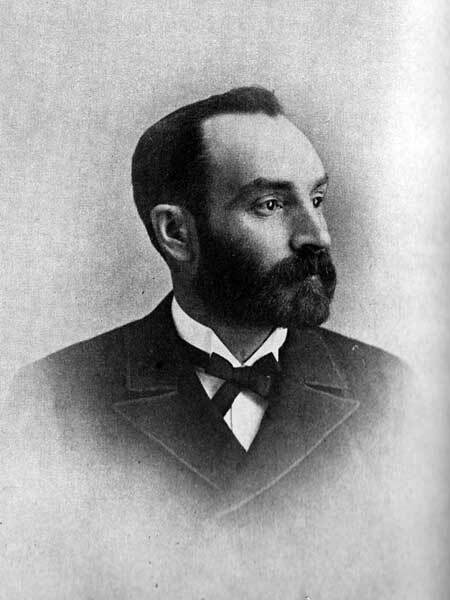 He was a Winnipeg city alderman for two years and a candidate for the Winnipeg North constituency in the 1892 provincial general election. In 1883, he married Mary Russell of Dalhousie, New Brunswick with whom he had one son. Following her death in 1889, he married her sister, Jean Russell. A keen curler, he was President of the Manitoba Curling Association (1892-1893) and a President of the Thistle Curling Club. He died at Toronto, Ontario on 6 February 1928. “G. H. Campbell, pioneer west rail man, dead,” Winnipeg Tribune, 7 February 1928, page 1. “G. H. Campbell, first manager of st. railway, dies,” Manitoba Free Press, 8 February 1928.